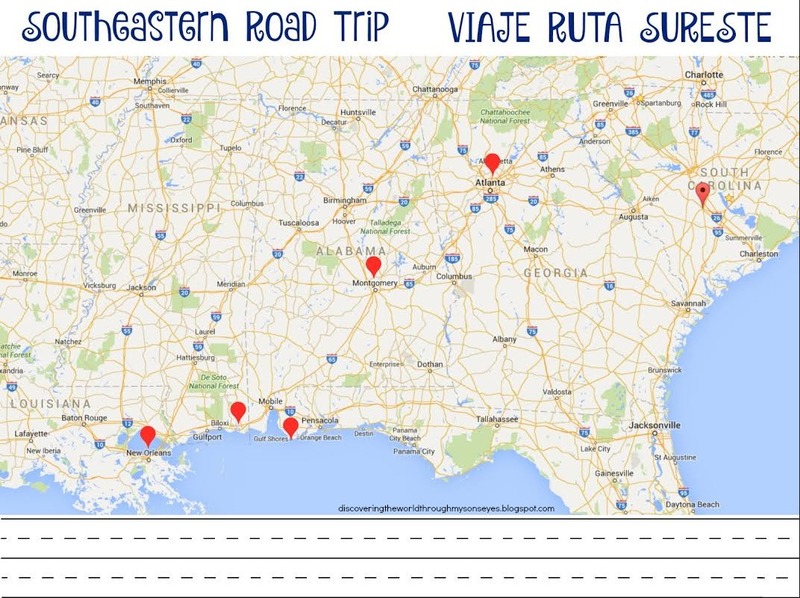 Planning a 12+ hour road trip to and another 12+ hour road trip from means you need to keep your kids busy in the car! With so many hours in the car I wanted to sneak in some Spanish learning, too! Yeah, I know I’m sneaky like that! Ha! Any who, I didn’t want my child to be fixated on a screen for so many hours. 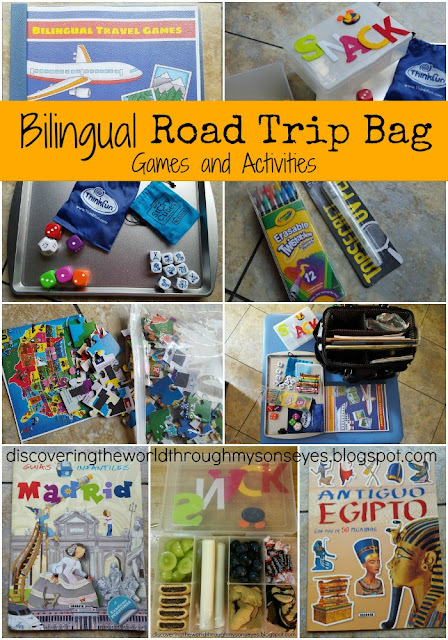 So I started searching the web for bilingual road trip games and activities. Guess what? My search was unsuccessful! Nada!!! 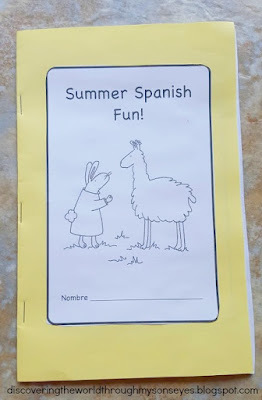 Thankfully I have some really awesome blogging friends that shared with me some cool printables in Español. 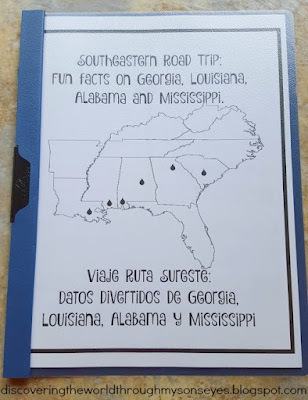 Some were not “travel” related but could be very well used during a road trip. Below are the links for the Spanish resources. 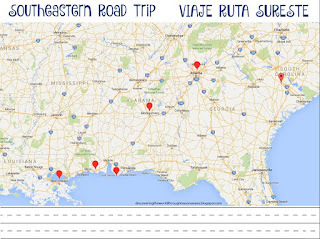 Then I’ll share my top three picks that we used for our road trip. 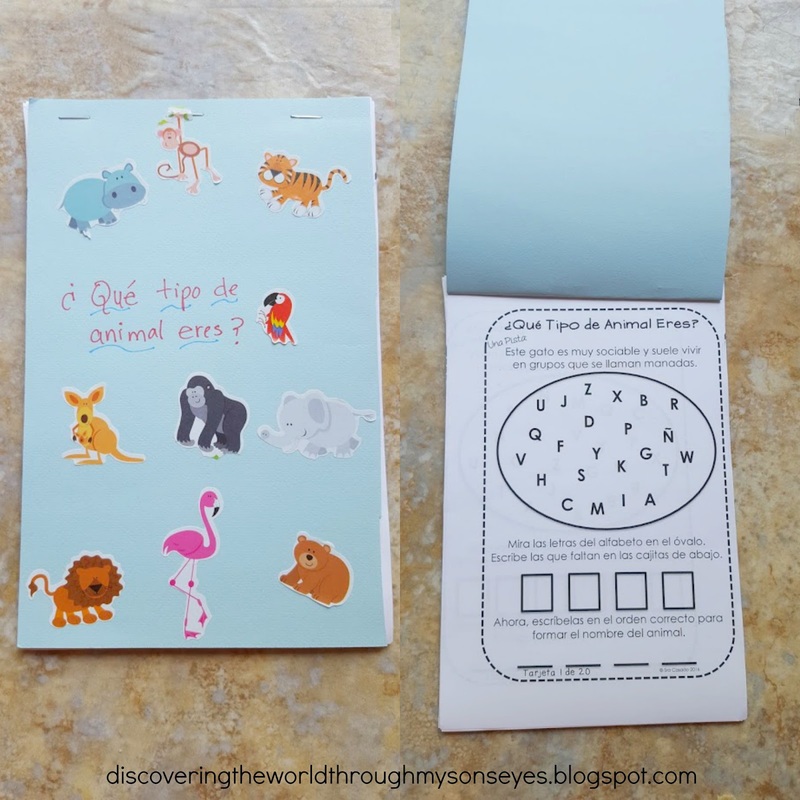 From Mundo de Pepita Summer Spanish Fun Printable Activity Book, and Sopa de Letras. From Sra. 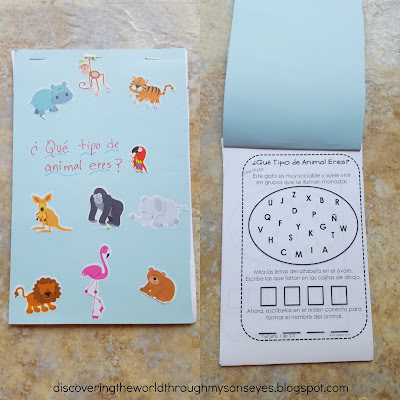 Casado a cool Adivinanzas Booklet, Spanish Compare Card Game, and Spanish Animal Vocabulary Game. From Open Wide the World Road Trip License Plate Tracker – U.S. Geography. From Spanish Playground Poem La ardilla with Printable Activities. I printed out the from Mundo de Pepita the Summer Spanish Fun Printable Activity Book, and made a little booklet. From Sra. Casado I printed the Adivinanzas Booklet and decorated it with animal stickers. 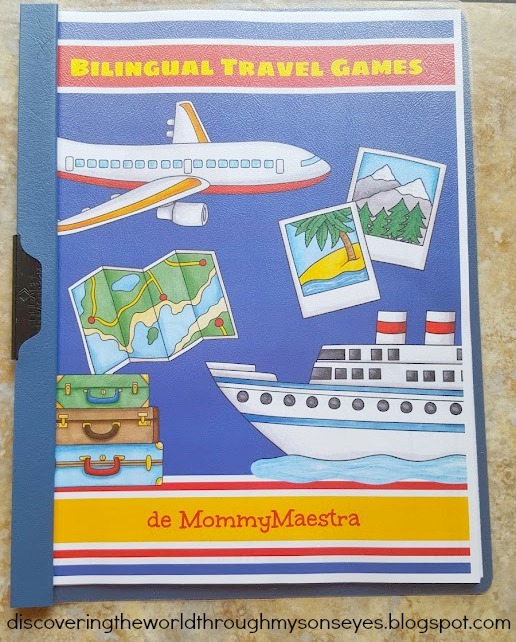 From Mommy Maestra I printed only the Spanish section of her packet Bilingual Travel Games. Last but not least all these printables were neatly placed in a craft bag for easy access with games, crayons, puzzles, sticker books, drawing books, and his very own snack bag! Little one also had some screen time with his iPad he played some games, and watched some videos, too. How do you sneak in some learning when road tripping? Would love to hear some more tips, and if you have any Spanish resources, please share them below in the comments! I love this post and the love you put in, in keeping your son busy.